David started his litigation career at Zoe, Atta Akyea & Co, a litigation boutique where he worked from 2003 to 2007 when he joined Oxford & Beaumont’s finance team as an associate. He set up the Litigation and Dispute Resolution Group, which he currently heads in 2008. His areas of expertise include corporate & commercial dispute resolution, telecommunications, media & technology, corporate finance and employment. David became a partner in January 2010. David has successfully defended a United Kingdom-registered Manufacturer in an action for, among others, an injunction brought against it by a Ghanaian-company distributor, in an attempt to freeze the UK Company’s Ghana business. He has in addition won judgement and general damages for breach of contract when he represented an international commodities company in a multi-million dollar suit against a Ghana-Government-owned company in Ghana regarding a sale of goods contract. Also, he has represented a major Ghanaian media company in a matter restraining its competitors from unfair competition practices, including duplication of programmes for broadcast. Recently, he has successfully defended The Coca Cola Bottling Company of Ghana Limited in a watershed employment action, setting a precedent for using the labour laws to deal with under-performing and skiving employees. David has a Bachelor of Laws Degree from the University of Ghana. He is one of the most respected bloggers in Ghana (www.antirhythm.blogspot.com) and an aspiring novelist. He is also the Editor-In-Chief of the Oxford & Beaumont Quarterly. Lawyer David Asiedu giving a talk on Social Media and Law at the just ended #BlogCamp12. @Kofiemeritus: Tell me a little bit of your background. (Where you schooled, your childhood days, family, etc)? @Antirhythm: I come from a family of 6. My parents are both retired educationists, and they made it count in our lives. The standout memory from my childhood days is of reading all the time, but reading which we genuinely loved to do. @Kofiemeritus: When did the dream and passion of law start? (What made you want to practice law)? @Antirhythm: I cannot really say if it was a dream before I started studying law; my choice of law was instinctive and on the spur of the moment. The passion started midway the learning journey. @Kofiemeritus: What will you say has contributed to the achievement of becoming a lawyer? @Antirhythm: Let us not label becoming a lawyer as quite an achievement. Let us call it a launch pad to achievement. A curious mind and the discipline to prepare for examinations are probably what contributed the most to my becoming a lawyer. @Kofiemeritus: Ghanaians have a religious affiliation to God. Will you say God has been the source of your achievements? @Antirhythm: Yes, I would say so. @Kofiemeritus: Which law firm are you now working with, your contributions to the firm and what are your achievements so far? @Antirhythm: I work at Oxford & Beaumont Solicitors (www.oxfordandbeaumont.com). I am the partner in charge of the Litigation & Dispute Resolution practice group. I have assisted in creating a great culture at the firm; assisted in establishing a human resources and recruitment system; and I initiated and started the Litigation & Dispute Resolution department with the help and encouragement of the 2 other partners who are senior to me. @Kofiemeritus: You seem to be young in stature. What has been your secret to this healthy life? @Antirhythm: Do not credit me with this. It must be in the genes. My twin looks the same. I guess I have not been in too much of a hurry to act all grown up and ‘big man’. I have been confident in myself, but lived according to each stage of life I have come through. @Kofiemeritus: What has been your greatest challenge ever as a lawyer? @Antirhythm: That must be representing an international client against a Ghana-government-owned company in a court case. I was much younger then. The amount involved was huge (millions of dollars) and I kept asking myself silently whether I really wanted to carry that responsibility. @Kofiemeritus: In your personal opinion, what will you say about the Ghanaian educational system? Do you agree that our educational system is failing our young graduates? @Antirhythm: Ah, education is my pet passion. I blog about it often at www.antirhythm.blogspot.com. It is a clerk-creating conveyor belt largely unchanged from the colonial era. If the current intention is to teach our youth to be the best they can be, then it remained a mere intention. @Kofiemeritus: As a lawyer, why do you have interest in the use of social media? @Antirhythm: In my opinion, the most vibrant exchange of information is going on in social media. It is a great marketplace for idea as well as for expressing one’s ‘personal brand’. 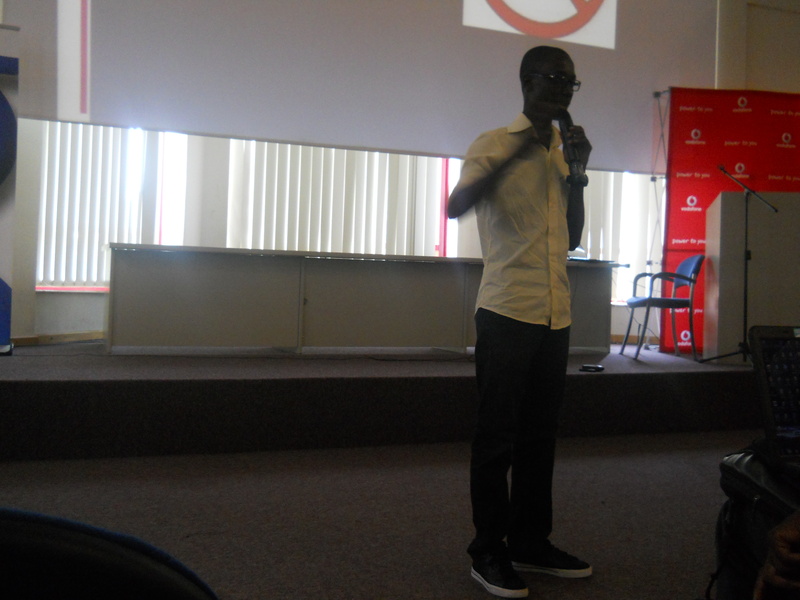 @Kofiemeritus: You recently gave a talk on “Social Media and the Law” at the just ended Blog Camp 2012, Ghana. What do you think is the future of blogging in Ghana and Africa? @Antirhythm: Very soon, in Africa and in Ghana, bloggers and social media participants will shape the national agenda and determine national policy as well as who will lead a country and who will not. @Kofiemeritus: Your advice to the youth of Ghana? @Kofiemeritus: Where will we see you in the next ten years to come? @Antirhythm: In law, I hope to achieve high success. I will be in the ‘social media revolution’ and I will be a coach, mentor and motivational speaker for the youth. @Kofiemeritus:Thank you for your time.